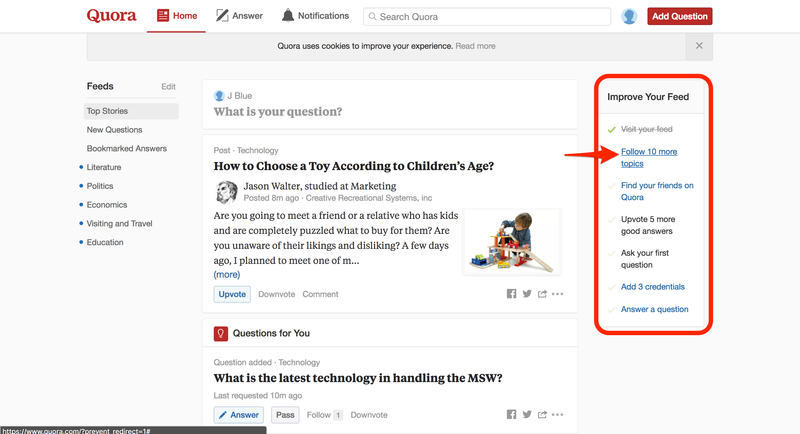 Quora is a questions-and-answers site where the community posts, answers, edits, and organizes the content available. 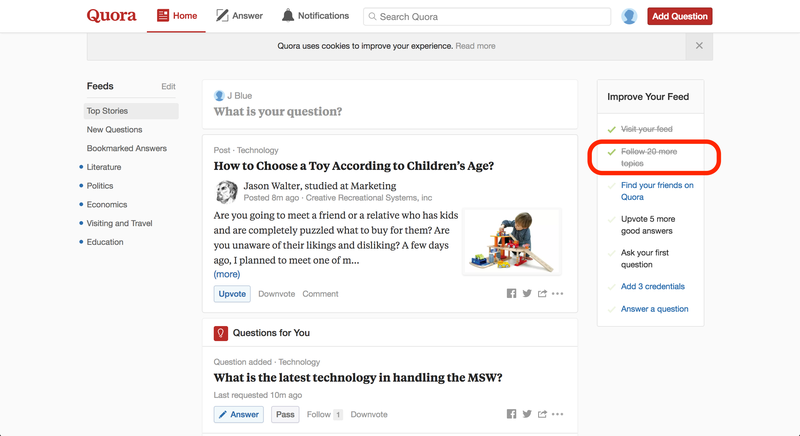 When new users sign up to the site, an onboarding task list helps them get started with important steps that help improve their feed and add value both to their own experience and to the community. 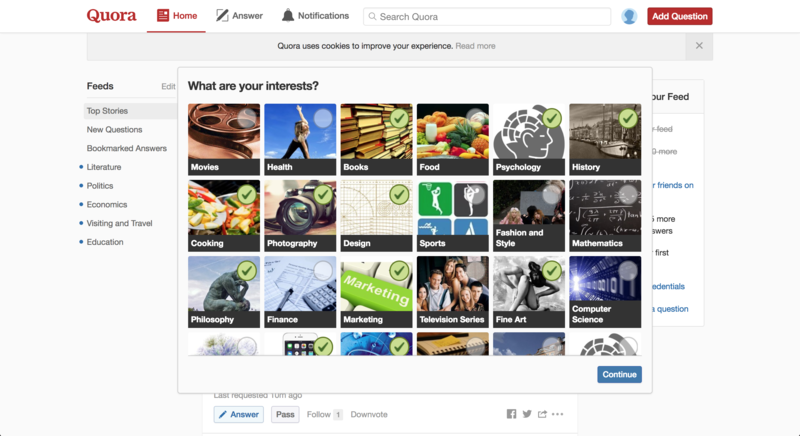 A community the size of Quora can be overwhelming. Instead of requiring new users to complete all feed-improvement tasks at once, the task list lets them choose which tasks to complete at their own pace. Where possible, the list links specific tasks to the appropriate places within the site so the user can complete them with one click. Modal windows let users complete linked tasks without leaving their feed. When a task is done, it gets crossed off the list, adding to the user satisfaction and incentivizing the user to keep completing tasks.